Summit County has long used the outpatient commitment process to provide treatment in the community to citizens suffering from severe mental illness. The specialized program offered through the New Day Court gives those who participate the tools to take an active role in their recovery to avoid repeat hospitalizations. The New Day Court program offers compassionate case management supported by the Court and all of the service providers involved in the participant’s treatment plan. The Summit County Probate Court’s New Day Court was developed to assist the severely mentally ill on outpatient commitment. Summit County’s New Day Court is the first of its kind in the State of Ohio. Watch a helpful video about our New Day Court. Alcohol, Drug Addiction and Mental Health Services (ADM) Board – More Information …. Community Support Services (CSS) – More Information …. National Alliance on Mental Illness (NAMI) – More Information …. Portage Path Behavioral Health – Psychiatric Emergency Services (PES) – More Information …. With special thanks to the Peg’s Foundation – More Information …. 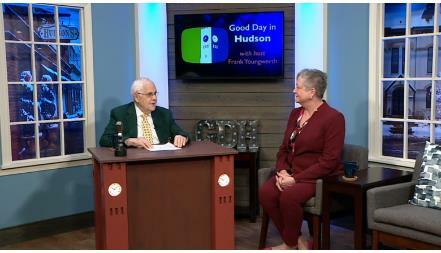 Recently Judge Stormer appeared on “Good Day in Hudson” with host Frank Youngwerth. Their discussion focused on New Day Court, a court begun in 2016 by Judge Stormer. New Day Court is the first of its kind in the state of Ohio and gives its participants living with long-term mental illness the tools to take an active role in their recovery and avoid repeat hospitalizations. Watch the complete interview recorded in the Hudson High School studio.